David Sanborn is headed into the studio with Marcus Miller as they reunite after much too long a time, almost 15 years, to work on a new recording. Miller will be playing bass, obviously as well as producing and co-writing some songs for the project. Their collaborations began with the Hideaway album in 1979, and included the funk-fusion classic “Run For Cover.” They continued to work together through the 80’s on Sanborn’s Warner Bros. Releases that included the cjazz and adult contemporary crossover hits “Slam,” “Chicago Song,” “The Dream,” “Camel Island,” “Maputo” from the Bob James-David Sanborn album, and more. Sanborn moved to Elektra in the early 90s and continued to work with Miller on a series of edgier, jazzier albums: “Hearsay,” “Upfront,” and “Another Hand.” They last worked together on “Inside” which was released in 1999. They have often toured together and did a tour with the late George Duke in 2011. Sanborn is funding the project through PledgeMusic.com – a direct to fan funding hub that allows artists to presell their CD’s/digital downloads as well as offer other opportunities for fans to connect with the artists at various donation tiers. You can pre-order the album download with cover art for $10, the going price for digital albums on most retail websites, and get extras like progress reports and track previews as well as pre-release downloads or you can buy a hard copy of the CD and get it autographed. Sanborn is also offering master classes, transcriptions, and even participation in a recording session for musicians and a number of VIP packages for fans. You can pre-order the album and explore more opportunities to help fund it and watch a video that explains the process at Sanborn’s PledgeMusic site. 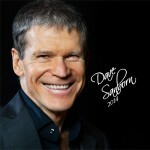 http://www.pledgemusic.com/projects/davidsanborn. A percentage of money raised after the goal is met will be donated to the March of Dimes.